Here is the latest of Bill’s blog posts. He, and we, hope it will be helpful to all those battling late stage prostate cancer. Click here for earlier parts if you missed them. Part XIV: The beat goes on … but the blog is at an end. I think I missed a few posts so there is some catch up. In my last posting I had just started cabazitaxel after my September scans showed lots of new progression. I had thought I would stop after the first infusion due to peripheral neuropathy issues. However, my oncologist strongly suggested I keep going on the cabazitaxel. He informed me it was my only viable treatment option. I completed a total of four cycles of cabazitaxtel. However, since I did not get a significant PSA response and because my neuropathy and general pain levels kept increasing, I decided to stop in early December. The cabazitaxtel really did a number on my GI tract. It is a bit easier on the hair and nails than Taxotere but — at least in my case — rougher on the stomach. I had my scans repeated in early January. Not much change (good or bad) in my boney disease but increases in the size of the liver mets and a lot of progression in many lymph nodes. My blood counts were also down a significant amount, so that is something to watch. Alkaline phosphatase is climbing back up as well. My PSA was 123 when I started the cabazitaxel and dropped down to 107 then back to 115 and was 132 in January: an all-time high PSA value for me; however, not rising very quickly. I had a liver biopsy performed in late November. 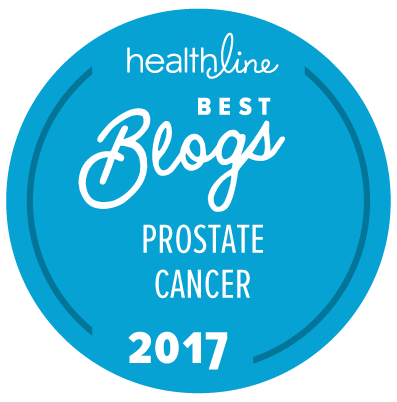 It was positive for prostate cancer; however, when they sent the sample to the genetics lab it turned out to be too small of a sample to do the genetic testing. The hospital lab was able to get tissue from my 2013 lymph node surgery (at the Mayo Clinic). The hospital genetic testing lab was backlogged and the results of my genetic testing were still in process. However, in the meantime, my oncologist wanted me to start on olaparib (Lynparza) pending the genetic testing results. They were able to secure the required prior authorization required for off-label use of the drug (albeit with a very large co-pay). I have been taking the olaparib for about 6 weeks and so far some GI tract difficulties and fatigue are most notable side effects. The genetic testing came back with no actionable genetic anomalies but we decided to continue the Olaparib until we saw the results of my February PSA. I have much more pain than at any point previously on the journey. There has been a steady increase in my chronic pain and an increased number of break-through pain episodes. I am doing a fairly good job of controlling the chronic pain with a very powerful Rx NSAID. I am looking into a non-narcotic option involving the use of nerve blocks. I am also working on setting up a palliative care team which can transition over to hospice when and if necessary. I am not mentally ready to start something like daily low dose morphine. This is a personal preference and I realize I may eventually go that route — just not now. I just got the results of my February PSA test and I had a jump from 132 to 235. Another all-time high PSA value and the largest single monthly increase. My oncologist called me and told me to stop the olaparib. He wants me to try an oral low dose of cyclophosphamide (Cytoxan) on a 21-day cycle. Wow! This sounds like we are really scraping the bottom of the barrel. I meet with him on Thursday and will discuss if this makes sense for me. I know he means well. I started this blog as way to chronicle my use of the novel drugs and treatments for mCRPC patients. I believe that is mission is now completed. Good luck in all your treatment options and quality of life. Editorial comment: Bill Manning started writing this very personal set of blog posts for us in January 2014, just over 2 years ago. We thank him from the bottom of our hearts for his kindness and his patience in doing this. We know it has not been an easy journey for him, and we send our blessings and our prayers for Bill himself and his family too. For two guys who started this battle on the same day we are quickly reaching the same place. When I last spoke to you my pain was trivial. Well that is no more. I have extreme spinal pain which is not being helped by narcotics thus far. Olaparab brought my PSA down 200 to 1,000 in the course of 4 months, however my CTCs tripled from 51 to 161. After the neuropathy from my last chemo treatment, I don’t think I can do carboplatinum. I see my med/onc on Monday, assuming I could tolerate the trip. Let’s continue to compare notes on palliative care. Hang in there pal. A courageous, valuable, and extremely well-written series. Thank you, Bill! Geez, sorry to hear about your CTC levels but even more so to hear about your pain. Have you tried a NSAID like Volteran? It might help reduce the inflammation. It really helps my bone pain. Maybe they can do some radiation. I have been getting some epidural steroid injections to help with some of my pain. I woke up this morning with some new lower back pain. Yikes, this is not good!! You have been so very kind and supportive of me, even in the midst of your own problems, and I appreciate it more than you will ever know. I’m sad to see your blog at an end, but I realize that you, like me, have very limited energy to continue; I’ve also had to reduce my own internet activity, sometimes it’s just too much to try to type. We are both close to hospice care, but don’t give up hope; I’ve been in palliative care since August of 2014 with JourneyCare. It seemed to me that when my doctors put me on this, that they were almost giving up on me; I was depressed, but it was a necessary step to maintain my quality of life. God bless you both, Bill and Dominic. You are both in my prayers for a miraculous healing. All is possible with God. Thanks for posting. These mean more than you know to guys like me, even if we don’t post all of the time. Just know, we’re with you and are always thinking of you and your family. Can you refresh my memory … Were Xtandi and Xofigo effective? Bill. There are no words. Your posts have meant so much. I wish there was something I could do or say that would make a difference at a time like this. Just know you are appreciated, and that for many of us out here reading, we are with you in heart and spirit. For me Xofigo did help but only for a short time. I finished it in July and my August 2014 scans showed improvement but January 2015 my scans showed a significant amount bone met progression, including increase to existing and new mets. Keep in mind Xofigo is only effective in bone disease and will do nothing for soft tissue disease. I had good success with Zytiga and then after 9 months moved to Xtandi which did nothing for me. On the genetic testing my understanding is they take a swab from your cheek and use that as a control sample to test for germline mutations and then use a tissue sample of your cancer to compare and see what mutations are in the cancer as well. The cancer can sometimes mutate itself which are called somatic mutations and not inherited like germline mutations. So you may not have any inherited mutations from the mouth swab but when they test the cancer sample it may have the genetic anomalies. Olaparib targets certain genetic anomalies so I would say it is best to use a tissue sample as well as the mouth swab. I am not an expert on this stuff so this is just my understanding. While I speak with Dom several times a week, we communicate less often but you are much in my thoughts — especially given we have been in touch a lot longer, from the time of my own treatment from 2007 to 2010. I hope you remain as comfortable as possible — and maybe your med/onc will find something … we both know developments are moving very quickly. Your blog entries are incredibly valuable and supportive for me as well. You’ve probably already tried this, but did you take a course of treatment with estrogen patches, or low-does DES pills? I read about it on this blog back in 2014? You know the rest. Thank you for all you have given us. Hold on. You are both an inspiration and I thank you for all that you have done and all you continue to do for those of us that are fighting this insidious disease. God bless you both as you continue the battle. It was great talking to you yesterday and as always my very sincere gratitude for your kindness for helping with advice and direction. For the past 2 years you have extended yourself to help me navigate this most confusing prostate cancer medical world. I know with your incredible courage, strength and determination both you and Dominic will fight the fight for your families and for all of us. You and Dominic are an inspiration to me to never give up despite all. Thank you for this gift and for your humour. Thank you Bill for all the work you did. Peace. Charlene and I are thinking of you. Having a SSW reunion on June 10 on Long Island if you want details.